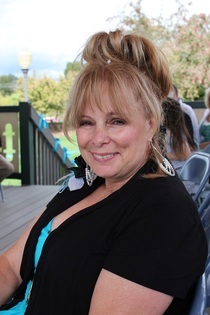 Obituary for Carol Jo (Gillard) Ransdell | Crandall Funeral Home Inc.
Carol Jo Ransdell passed away Thursday, September 27, in Evanston, WY after a long battle with cancer. Carol Jo was 62 years old. Born Carol Jo Gillard July 6, 1956 in Evanston, Wyoming, she attended both Kemmerer and Rock Springs schools. After graduating from Rock Springs High School in 1975, Carol worked as a nurse’s aide at Memorial Hospital of Sweetwater County. She attended Western Wyoming Cosmetology School and worked as a licensed cosmetologist at several salons. Over the years, she worked for an ENT doctor in Rock Springs; as a teacher at an Evanston preschool; and, an antique & home décor store. Carol Jo married Mark Ransdell January 22, 1977, in Rock Springs. Carol Jo enjoyed decorating, collecting Polish pottery, painting with local artists, card club, quilting, being a part of PEO, and, along with husband Mark, was active in the Wyoming Community Foundation (Evanston Board) and United Way, Uinta County. Carol Jo is survived by her husband, Mark Ransdell of Evanston; daughter and son-in-law, Brittney and Cody Pine of Evanston; grandson, Dustin Pine of Springville, UT; granddaughter, Trinidy Jo Pine, Evanston; sister and brother-in-law Lorraine and Gordon Purcell, Heber, UT; brothers Chuck Gillard, Glen Gillard and Jack Hone of Kemmerer, WY. She was preceded in death by her mother, Stella Hone, father, Robert Hone and brother, Norman Gillard. Memorial service will be held Friday, October 5, 11am, Crandall Funeral Home, 800 Unita Street, Evanston, WY, followed by an open house about noon at the Beeman-Cashin Building, in Depot Square on Front Street, Evanston. An open house Celebration of Life will be held Saturday, October 6, at 12 noon, in Rock Springs at the Freight Station-Bunning Hall, 603 South Main, Rock Springs, WY.